I challenged the kiddos to see who could write their numbers to 1000 when we started with our number scrolls. I told them anyone who made it would get to share a popsicle or ice-cream treat with me at recess. Mariah was the first to get there about three weeks before school ended. Next was Reuben on the last Wednesday and the day after was Lily. 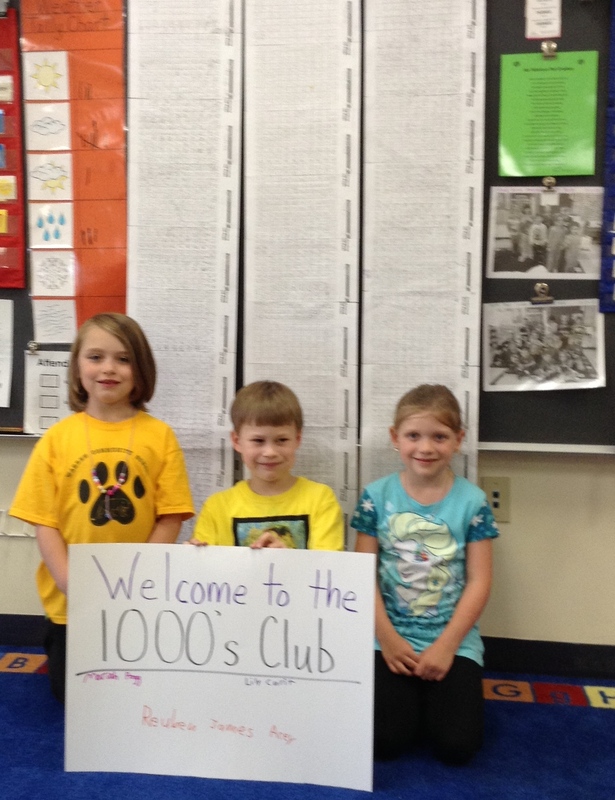 Here’s a picture of the three of them with their number scrolls displayed behind them on the board. Congratulations to all of them for persevering until the job was done!